Aaaaaand then I saw the video for "One." This somber, understated black & white video sprinkled with weird movie clips about a guy with no limbs or face instantly struck a nerve. I had never heard anything like this epic, mood swing-laden track, and the rat-tat-tat of the song's signature riff absolutely blew my mind. For weeks I was haunted by that song and its grisly imagery, and I tried to find the video again as often as I could (sadly true metal videos weren't in MTV's heavy rotation yet). By this time I was in eighth grade, and our final assignment in music class was to write and present a report about a band or artist of our choice. The caveat was that each student had to pick a different band, first-come first-served, and we'd announce our picks in alphabetical order by student. I was torn between doing a report on my current favorite band Guns N' Roses, or my newly discovered interest Metallica. Two kids behind me (both later in the alphabet) were arguing over who got GNR, so between not wanting to swoop in and steal that pick from both of them, and the fact that Metallica had been around longer and their band history would probably be easier to find (No internet yet in 1989), I took a leap of faith that I'd enjoy the rest of their catalog enough to immerse myself. I immediately went out and bought ...And Justice for All, and after a few listens it clicked for me. Deeply complex and full of extended, multi-riff songs, Justice was definitely an acquired taste, but familiarity brought endless reward. I listened to that album almost non-stop for months, to the point that the track listing soon wore off the cassette. Aside from "One" my favorites were the relentless assault of the opener "Blackened," the disturbingly bleak "Frayed Ends of Sanity," and the grand mini-symphony "To Live is to Die" (I was especially taken aback by the emotionally revelatory middle section). In prepping for my final project I was surprised to learn that Dave Mustaine of Megadeth was an original member but was ousted before their first album was recorded. I also found out that bassist Jason Newsted had only recently joined the band after his predecessor Cliff Burton was killed in a bus accident. How awful. My written/oral presentation was a success, and this was officially the most fun I ever had working on a school project. I actually earned an A for becoming a Metallica fan! That summer I made it a personal mission to add the rest of Metallica's albums to my tape collection. 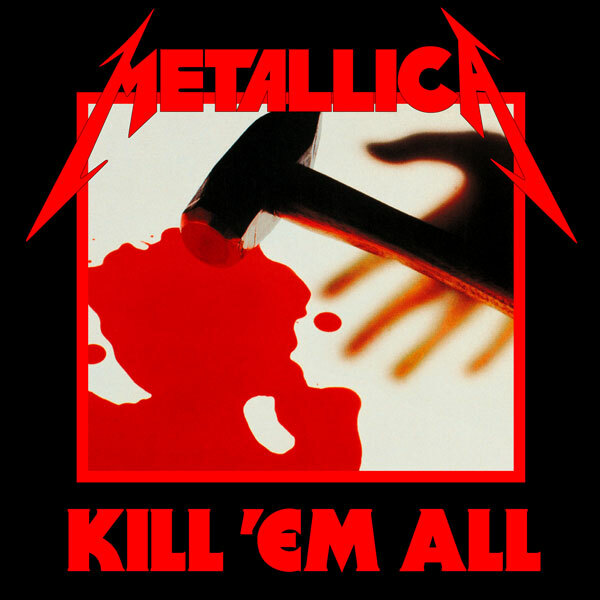 I started at the beginning with 1983's Kill 'Em All, and was shocked at how different the band sounded. James Hetfield's voice on this record was considerably thinner and less husky than it would be five years later. The song composition was also much simpler and straightforward. "Hit the Lights" (the first song Metallica ever wrote) was incredibly high-energy, "The Four Horsemen" sported an infectious shuffle groove and a multitude of memorable riffs, and "Whiplash" and "Metal Militia" were impossibly fast shredders. But the track that completely caught me off-guard was a bass solo by Burton called "Anesthesia (Pulling Teeth)." Until that point my unpracticed ears didn't know exactly what a bass player did in rock music. I couldn't separate a bass track from the rest of the song, and assumed the guitars were doing most of the work. It didn't help that my first foray into speed metal was the bass-absent ...And Justice for All, but I considered being a bassist a totally thankless role. But "Anesthesia" was different. Here was a guy caressing his bass like Jimi Hendrix's guitar, generating swirling, distorted arpeggios that seemed to snake to and fro. Immediately I developed immense respect for Burton and lamented that he was no longer alive. I didn't get around to completing the Metallica back catalog until that fall, when I bought Master of Puppets just before my birthday (much to my parents' chagrin since they also got it for me), and received Ride the Lightning and Garage Days Re-revisited as gifts. I'd heard parts of Puppets and Lightning at my friend Greg's house and was intrigued but hadn't fully given them a listen. 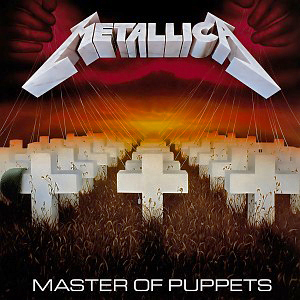 With Puppets I was struck by how diverse it was, from the flamenco guitars in the intro of "Battery" to the magnificent complexity of the title track (now my favorite Metallica song), to the mournfulness of "Welcome Home Sanitarium," this album was a multifaceted gauntlet of classic metal. And it was once again Cliff Burton's main contribution that pushed the boundaries the hardest - the instrumental "Orion" features a chugging midtempo riff that eventually gives way to a balletic waltz feel spotlighting the bass, over which twin guitar harmonies gently moan and bend. This sounded unlike anything else in Metallica's inventory and I loved it. 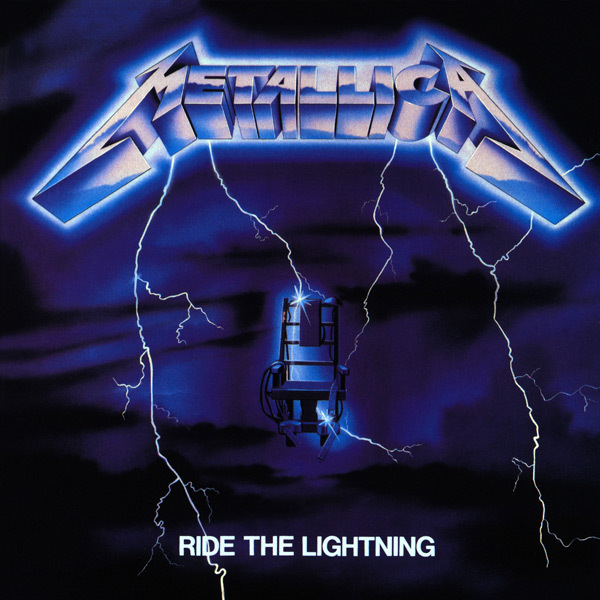 Ride the Lightning was the last of Metallica's original four albums that I listened to, and while I was duly impressed, at the time it was my least favorite. The songwriting was more intricate than Kill 'Em All but hadn't reached the majestic splendor of Puppets or Justice. Still there was a lot to like; the classically-infused "Fight Fire with Fire" intro, the simplistic march of "For Whom the Bell Tolls," the no-nonsense masterwork "Creeping Death," and the arpeggio-packed instrumental "The Call of Ktulu." For me though the one song that grabbed me by the throat was "Fade to Black," a tearful power ballad with shimmery, chill-inducing 12-string guitars that builds to an extended, climactic Kirk Hammett guitar solo. It was fair to say I was obsessed with Metallica at this point, so much that I sought out other metal and hard rock bands like crazy to fill the void until the next Metallica record was released. I soon became a fan of Anthrax, Motley Crue, Queensryche, Iron Maiden, and eventually (and rather begrudgingly due to my perception they were the enemy of Metallica) Megadeth. I was so wrapped up in this adrenalizing form of music I decided to take up guitar, resolving to be the next Hetfield/Mustaine (Het-staine? ), and I immersed myself in learning as many of these songs as I could (It took me a good six months to even become passable, mind you). This was a quarter-century ago and I've been playing music ever since, so Metallica if you're reading this, it's all your fault! Metal also represented to me the identity I had long been searching for. 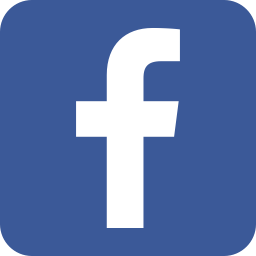 At 14 years old I was sort of a nerdy, socially awkward kid who didn't fit into any of the cliques at school, and now in a strange way I had a path. 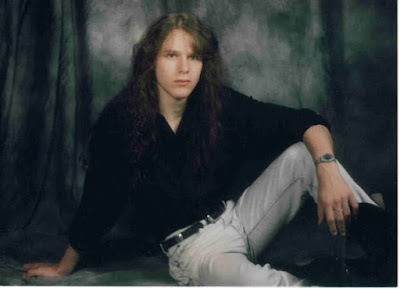 I grew my hair out, started wearing concert T-shirts and acid-washed jeans, and replaced my glasses with contacts. By sophomore year I was no longer a soft-spoken nerd, I was a confident, long-haired metalhead. Yup, that's me, circa 1992. Clearly I peaked early. The wait for a followup to ...And Justice for All was long and torturous. I had been reading about the new album's progress in magazines like Metal Edge and Circus (Again, no internet yet), and the band noted that this album would feature simpler, shorter songs (I envisioned something akin to Kill 'Em All), and would simply be called Metallica (How strange, usually only debut albums are self-titled). Then in early August 1991 MTV premiered the video for a brand new Metallica song called "Enter Sandman." This song featured a tritone-based, brutally heavy riff and a simple, incredibly hooky chorus. I fell in love with it immediately and couldn't wait to hear the rest of the album. On August 12, 1991 I brought home my cassette copy of Metallica (now known as The Black Album), sat in the kitchen and listened to it on my Walkman, front to back. I was awestruck by the unexpected songwriting twists and Hetfield's emotive, self-assured vocals which were light years better than anything he had previously done. 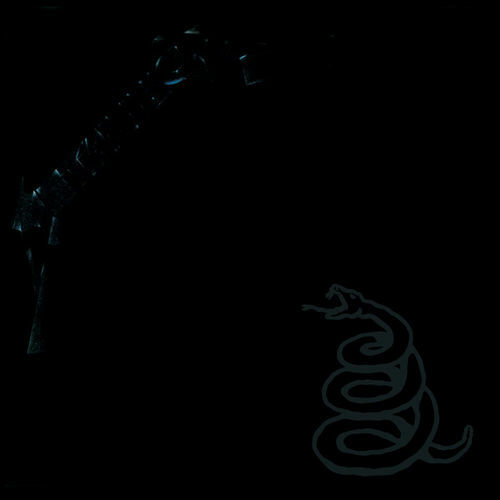 The sledgehammer crunch of "Sad But True," the despondent, layered nuance of "The Unforgiven," the Eastern-influenced confirmation of solitude "Wherever I May Roam," the delicate beauty of "Nothing Else Matters;" this album completely reinvented the band's sound, eradicating any inside-the-box expectations. 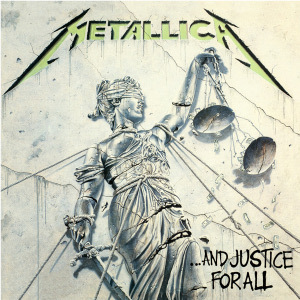 What's strange is that I didn't even fully grasp how different this album was until I started reading reviews and hearing accusations of Metallica "selling out." To me the Black Album was just a great collection of songs on which the band was exploring different styles and sounds. It didn't occur to me until later how much more accessible this album was. It's also a testament to Bob Rock's incredible production that whenever I think of the all-time greatest-sounding albums, this one is still at the top of the list. Hey look, it's Spinal Tap's Smell the Glove! 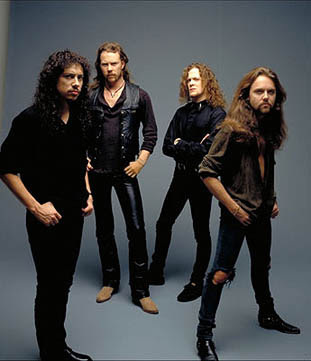 By the end of the year Metallica was all over the radio and MTV, and it was amazing to me that this decidedly non-commercial band/genre had suddenly been accepted by mainstream audiences. For example the idea that a Metallica album debuted on the charts at number one was just mindblowing. Their 1991 tour brought them to Worcester, MA just before Christmas, and as the entertainment reviewer for the local news outlet, my mother got the assignment of interviewing Lars Ulrich, plus two tickets to the show. This was the biggest moment of my young life, seeing my favorite band in concert and getting to meet one of them. As always Lars proved himself an extremely well-spoken, philosophical interview subject, discrediting the stereotype of metal musicians as mindless, chest-thumping nihilists. The concert itself was an extravaganza, featuring a center-stage set resembling a spaceship that took up about half the floor. The four band members rotated every few songs, playing to the entire arena, and all five albums were adequately represented. After about two hours the band signed off, only to return and play seven additional songs (Talk about an encore!). I had only been a concertgoer for a year at this point, but An Evening With Metallica was easily the best live show I'd ever seen.